If your PC is running slow or comming up with odd issues then it’s time to run ReviverSoft PC Reviver. It seeks out areas on your computer that could be causing issues and sorts them out. It will give you the option of deleting old an unused system files, find and repair errors and make sure your PC is running at its optimal level. ReviverSoft’s Mac Reviver is a software program that helps you unclutter and speed up your Mac so that it runs at its best. In addition, this version includes an Anti-Theft product so that you can track down your Mac if it is stolen. Free Utilities for your Computer! ReviverSoft has created several free tools to help you get the most out of your computer. Start Menu Reviver: If you’ve upgraded to Windows 8 and are missing the Start Button, then this ingenious little program will get it back for you. It works with touch screen too so no loss of functionality! Battery Optimizer: Your battery is draining quickly and you’re not sure why. Use Battery Optimizer to find out where the problems lie and suggest solutions. It’s easy to use and will save you a ton of time. PC Benchmark: If you suspect your PC is not performing to its fullest then let PC Benchmark take a look under the hood. After an intensive investigation it will make specific suggestions on how you can get it running at full speed again. Not sure that you want to commit to a purchase yet? Then give Registry Reviver, PC Reviver, Mac Reviver or Driver Reviver a spin to see how they perform. Trials will show you the errors and suggestions but you will need to buy a full version in order to unlock all the features. 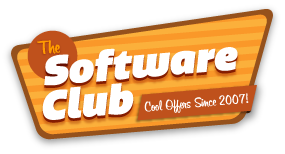 ReviverSoft is a young and innovative company that provides software to solve your computer’s issues.